OK so you want to impress your co-workers or friends? Well this baby (sic) is the tool for you! Looking more like a leftover prop from a Hammer Horror movie, the CCK Big Rhino Cleaver is...BIG! This monster chopper weighs in at an impressive 2 pounds. It is 6.6mm thick at the heel and has a blade length of 10.25 inches. 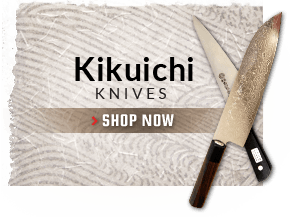 The blade is made from a carbon steel alloy and given a rustic kurouchi finish. The steel will rust if not dried and cleaned well. The handle is best described as rustic too! But that�s not why you would buy it. This is a tool for dismembering large animals and pieces of cooked proteins. 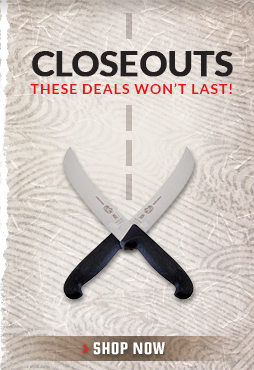 Ribs, poultry carcasses, and other such items will fall prey to this King cleaver. Got a whole pig or deer that needs to be butchered? 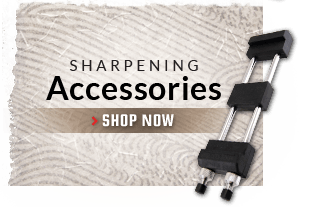 The CCK Big Rhino Cleaver makes the job easy and quick! This is no one-trick pony either as it is also well suited for cutting and chopping smaller items. The blade has a great profile for such tasks and together with the sharp tip it can get into some tight places with ease. The knife will take a screaming sharp edge too. So don't let the size frighten you. This bad boy is a multi-tasking chopping machine. Arrived to my door this cleaver it�s bigger than I thought let say the bad and the ugly. Nice cleaver! CCK Big Rhino Cleaver gets the job done. 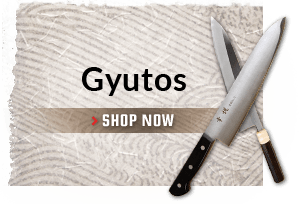 This thing is not for someone with amateur knife skills... that being said this knife is great for breaking down big portions of meat as you can get it very sharp! (It's good with bones but not the best if you want it to remain sharp). I recommend rocking it as it's just under 2 pounds !! And trying to use it as a chopper might damage the fine edge not to mention your hand might fall off. However I get nonstop complements on it as well as ppl asking me to put it away for fear of losing appendages. This knife while ridiculed is of surprising quality in edge geometry and lack of sharp angles upon the spine and heel commonly found on this make. The detracting aspect is found within the handle being unsuited to the commercial setting and providing the opportunity for rust and ruination of the entirety of the specimen. Everywhere I put this thing, someone asks me to please move it somewhere else. Lol. I tried to hide it a couple of different places, but it's too big. For sure this could be registered as a weapon somewhere. The dog barks and growls at me everytime I pick it up. So far, Ive split a massive jack-o-lantern in half with one swing (that actually went through into the wood table underneath and cracked the corner of it) and also rocked through a big semisoft cheese wheel, which was fun. Turkeys are next. Can't wait to try it on some meat. BEAST of a knife huge - Most Ruthless knife I own cuts really clean... not as heavy as it looks. Comfy to hold and is well balanced - You still need to be worthy to wield this thing its due to the size but very fun to use I LOVE IT!!! The CCK Big Rhino is a BEAST - this thing is huge... goes through anything - sharp edge - bit rough around the edges in terms of finish but it only adds to that savage look it has LOVE IT!!! You can probably take over a small village with this cleaver by the sheer size of it. Aside from that, it's an excellent cleaver that's a lot more robust than the Lil Rhino that's also available on this site. If you're into butchering large slabs of meat, this "Dragonslayer" as my friend called it when he first saw it will do the trick. I am a Chinese, and I love cooking. The problem is they don't sell cleaver like thiis even in Chinese market. I have been looking for cleaver like this for a long tiime, and this is exactly what I was looking for. I've been eyeing for this knife for months now and I guess I made the right decision to get this one since my work consists of breaking down and chopping proteins at work. This will probably make my task easier now! Lol Thanks again CKTG! workhorse butchery cleaver. 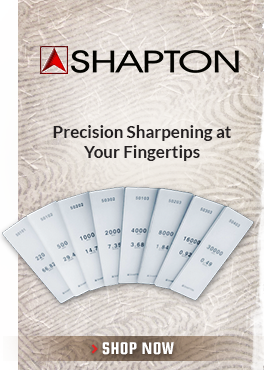 and it gets sharper than you would think! I love this knife! CNTG calls it the Big Rhino but it's just CCK's version of a traditional Chinese pork butcher's knife. It's intended to be used for butchering pigs; the angled tip is used to cut into the pig as it hangs from above. 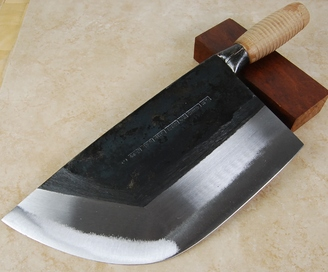 Even if you don't use it for that purpose its shape makes it more versatile than a rectangular cleaver.As others have mentioned, it's typical CCK quality: rough appearance, but excellent steel. I've had mine for about two years now and I couldn't be happier. 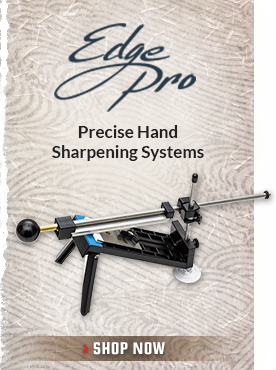 It keeps its edge very well and is easily sharpened. The handle doesn't look like much but mine is still tight and solid after a great deal of use. I bought it for breaking down meat and bones for making stock and for quartering game when hunting. It excels at both those tasks. I assumed it would be too large and heavy for more delicate work, but I was mistaken. It's equally at home chopping through large beef bones as it is breaking down a chicken. I bought it for the big jobs but I've started using it for general butchering tasks, cubing meat for stew, breaking down chickens, and it's great for big BBQs as well. 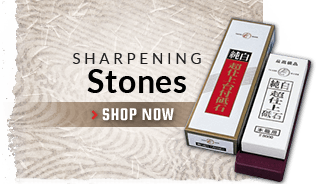 The angled point is suprising easy to use for more delicate tasks--it's more versatile than a big cleaver since it can both chop and do finer work as well.I would like to point out that this is more of a very broad knife than it is a cleaver"". The blade is very thick at the heel but it tapers to a narrow point, unlike the big bone-chopper cleavers which are thick all the way to the tip of the blade. If you want a big chopper you might prefer the standard rectangular shape which concentrates more weight towards the tip of the blade, but it can't be beat if you want a great general-purpose butchering tool. When I opened this box, I actually felt sick to my stomach, (in a scared/good way). When I'd opened the box, my wife actually backed up from it toward the sink and said, Oh my god. PS: I didn't know it was possible to ship things as fast as this company did. I'm totally sold on this place after one purchase. Just got my cleaver today. Everyone is right the picture does it no justice. This thing is huge. Just like all CCK cleavers it takes a razor edge. 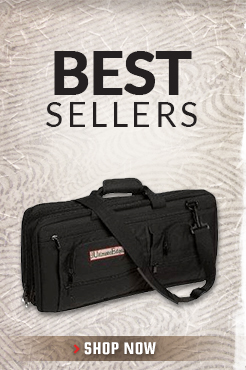 Perfect for showing off and great for my smoked meats. Ribs are like warm butter. this is a BBQ pit masters best friend. i bought this knife but the xxl and man is it amazing zips through any thing i put in front of it. its absolutly amazing. You cannot comprehend how big this thing is until you hold it in your hand. And this is the Medium! There is a Large and an Extra Large! So far I have used it to chop up chicken. Zips right through the bones without splintering them and no nicks in the blade. I recommend this for anyone wanting a meat/bone cleaver. BADASS! This knife is amazing!! I am a professional chef and I use many knives every day but this one is my favorite. CCK cleavers are all great but I love this one the most. Used my cleaver today to prep up a pig for roasting. Loved it. From chopping through bones to scrapping hair, it was awesome. What a monster! F&F are nearly absent, but poultry and ribs are no challenge at all to this behemoth knife. My coworkers laugh when I use this knife on pizza night to cut the pies then peel them onto plates. 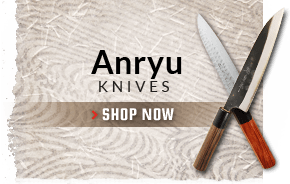 I've wanted one of these knives since I was a kid watching old Chinese flicks. Now as a chef this thing is huge and makes easy work cutting up whole roasted poultry, ribs, and small roasted pigs if you want bone in that is. Other wise this knife is too heavy for any other use, well except to show off to my chef friends. 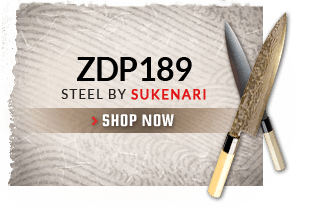 If your cutting up meat all day long and do not want to worry about chipping your knife this is the one for you, if you want a huge cleaver to show off this is the knife you you, if you want it for other reasons you might want to think about it. But, I gave this knife five stars because this is one of the many knives I've always wanted. I picked up a couple at the CCK shop when I was vacationing in Hong Kong. 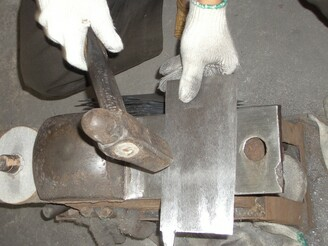 The shop keep there showed me how to use a metal spoon to bang at the blade and hear which one is forged well. I ended up picking up two of these. 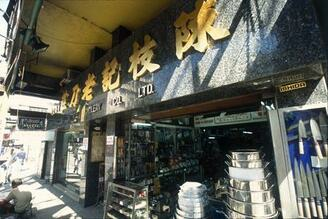 This is the cleaver used by all pork butchers, but only pork butchers in Hong Kong. I went to several markets to see how this chopper is used. They use this from disassembling whole hanging pig carcasses to chopping leg bones. I spoke to one butcher and he told me it is rarely used at home because the butcher there will typically do all the prep work that requires this implement. He also told me to be careful if I want to get one for home use as it can easily split a household end grain block. In the butcher shop, they use gigantic round pine blocks, basically a think slap cut from a tree trunk (about 4 ft in diameter, 2 ft thick). I could easily see the large bowl shaped hollow carved out on these blocks by this chopper. I brought two of these cleavers home I gave one to my relative thinking he could use it to process dear carcasses. 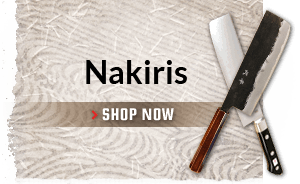 I use it at home mainly to split pork shanks and to chop barbecued ribs. It chops pork ribs as if the bones are not there. It never splinters the bones; it slices through very cleanly, even lengthwise. I don't even bother with lining up the blade in between the bones, I just chop away.It is a lovely beast. just got mine today, and it's awesome! the picture dosen't do it justice, it's HUGE 10in long and just over 5in thick! has a nice blade on it too, the only reason i didn't give it 5 stars is because i don't know how usefull a knife of this size will be to the average cook.